Regnas (Regnas) awarded T63743: Show gizmo while transforming a Like token. Regnas (Regnas) added a comment to T63743: Show gizmo while transforming. Too bad it's low priority. This is highly needed. Also, since the gizmo stays visible when transforming, there's no need to display those infinite orientation lines. I always wondered if there was a way to turn those lines off. Regnas (Regnas) added a comment to D4526: Edit Mode: Rework display to differentiate selection modes. @Campbell Barton (campbellbarton) This improves things a little bit, but it's still a little hard to see imo. The thing is, if you tweak the theme to look acceptable on dark materials it will start to look bad on bright materials and vice versa. This is a tough situation really. Be able to clearly see the edges is very helpful. Unfortunately after this change, the edges of the model are very very hard to see when you have faces selected. The issue is more noticeable in faces mode and when using different materials. You can test it by selecting all polys of the cube and switching some matcaps. Regnas (Regnas) added a comment to T57727: Make the “redo” panel also appear in the tool settings tab. Redo panel as a popover is a bad idea imo. The redo panel is a panel that needs to be always available/open, since it's accessed very often. Opening and closing a popover all the time won't work for that. Making it available in the tools settings tab too is still the best solution. Any reason why this task isn't high priority? The redo panel in the viewport is really really intrusive imo. Also sometimes this panel becomes too big and crowded with settings, and covers a lot of the viewport, which is not efficient at all. Regnas (Regnas) added a comment to T63518: Per viewport transform gizmo settings for select tools, remove transform tool. The gizmo button in sculpt and paint modes is quite lonely in the center. Only reason to have it is the navigate gizmo I think, easiest would be to just the button. If it has to be visible, irrelevant buttons in the popover should be greyed out. Regnas (Regnas) added a comment to rB65b03129041f: 3D View: move gizmo draw options out of overlays. Ugh, I hate the loss of the "Overlays" in the header. There are ten nearly identical little active icons on the right side there, and it now takes much more effort to identify and target the drop down for the overlays. The full word Overlays there did two things. It drew attention to what is one of the most important things in the header that contains so many different options for customizing the display, and it also served as a landmark that made it easy to differentiate and target the other buttons around it. Now it's just a long mush of visually indistinguishable buttons, and the existence of all those overlay options is much less discoverable. Regnas (Regnas) added a comment to T57936: Performance regressions. Funny, turning off overlays increases performance in edit mode a little bit, why is that? Regnas (Regnas) added a comment to T63106: Closing Console Quits Entire Program. the solution would be to eliminate the Windows console and implement one inside Blender itself. Regnas (Regnas) added a comment to T54963: Industry Compatible Keymap. An alternative way to duplicate, is to use the Move tool and hold Shift while dragging in the viewport. This will create a duplicate object/item. @Regnas (Regnas) What should the hotkey to deselect be then? I had it set to Ctrl/⌘-D as some apps do, but others use it for Duplicate. It's Ctrl/Cmd-A to Select/Deselect all. Regnas (Regnas) added a comment to D4529: Brush Tool Properties re-org. @William Reynish (billreynish) But those controls I showed they need to be next to the slider because they are related and they are used very very often. The most used between those two is probably the one you're calling "radius unit". In zbrush this is called "dynamic brush size" (which sounds more clear btw), but even in zbrush, that toggle is built-in in the slider itself, because they are related and used very often, not to mention that it's far more easy and quicker to reach. Putting them in the options pane totally breaks the workflow, not to mention the discoverability. I would consider moving those back, or at least just the "radius unit" toggle. It's super important to have quick access to it. 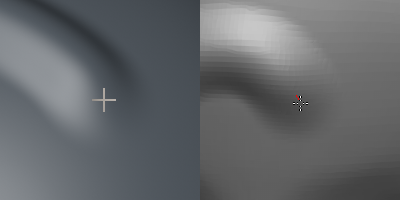 @Campbell Barton (campbellbarton) @William Reynish (billreynish) Can I ask why such important feature ("lock brush" ) was removed from the brushes in sculpt mode? Regnas (Regnas) awarded D4529: Brush Tool Properties re-org a Dislike token. Regnas (Regnas) added a comment to T62309: Make enum menus nicer. Regnas (Regnas) awarded T62309: Make enum menus nicer a Dislike token. Regnas (Regnas) awarded D4235: Trim brush a Love token. Regnas (Regnas) added a comment to D4235: Trim brush . Can't this behavior be a setting option in the flatten or scrape brushes? If not, I see no reason not to make it a brand new brush. Regnas (Regnas) added a comment to D3594: New sculpting brush cursor. Mouse cursor is now hidden when the stroke starts, similar to grease pencil, as @William Reynish (billreynish) requested. Regnas (Regnas) awarded rB9a63fa21eb45: Color management: change view transform for color pickers and display modes. a Love token. Regnas (Regnas) added a comment to rB9a63fa21eb45: Color management: change view transform for color pickers and display modes..
Amazing, been waiting for this. Now we can have full white in the viewport background again. The matcaps are finally displaying as they should in solid mode/workbench, etc etc..
Regnas (Regnas) added a comment to T57918: Left Click Select tweaks and fixes. Regnas (Regnas) added a comment to T59851: Inset not allowing full range of motion while tool is live. This has always been like this. Those modal tools kind of requires your cursor to be on very special position, preferably far away from the spot you want to affect when you activate it with hotkeys.. And it's even worse when you call those modal tools from the context menu. That's why I asked on devtalk if there's a way to swap those modal tools with their active tools equivalent. It's very hard to work with those tools from the context menu. Regnas (Regnas) added a comment to D4043: Make Context Menus More Contextual. Regnas (Regnas) added a comment to T57857: Collections, objects visibility and local view. removed the ability here to set selectability per object type. Regnas (Regnas) added a comment to T56744: Proposal: Improving Brush Workflow in Blender. I agree with @ThinkingPolygons (ThinkingPolygons) and @Julian Perez (julperado) We need a brush menu/panel that displays all the brushes available. Shift-Alt-click always felt a little heavy for that btw. I thought for the left click select mode you were willing to simplify that. Regnas (Regnas) added a comment to T57902: User preferences for the default keymap (design task). @Campbell Barton (campbellbarton) Double click for loop select is very handy. And since it's an alternative, I don't see a reason to change it. I hope it can stay as it is. Regnas (Regnas) added a comment to T57904: HDRIs not working in LookDev Mode. Regnas (Regnas) added a comment to T57895: Add Keying Set and New Keyframes options to the Timeline Sidebar . But why not simply use the available space in the header? The timeline will usually be quite thin or even completely collapased to the header, like for example in the Animation, Motion Tracking and Video Editing workspaces. So users would have to make the sidebar taller in order to use it. Usually the timeline will be quite long, there is plenty of space left and right of the playback controls. Why not put those menus there? Regnas (Regnas) added a comment to T57802: crash. Well, I can only confirm that the last build (blender-2.80-9879ea8a53a-win64.zip) gives instant crash, it doesn't even open. The previous build (blender-2.80-492dbae4d1a-win64.zip) worked fine. In T57727#553130, @kursad k (kursadk) wrote: there is another bug report about similar issue where the viewport widgets disappear during operations, in a sense it is the same thing. @Campbell Barton (campbellbarton) Still not a big deal for me tbh, I can live with that. But if people still think that's too annoying, then your suggestion to keep this panel at the bottom would solve that. Regnas (Regnas) updated subscribers of T57727: Make the “redo” panel also appear in the tool settings tab. To be honest, I really don't see room for confusion here. Those settings would live in a separate and properly named panel, that alone would eliminate any kind of confusion. In fact, what I think is really confusing is the way the "Redo" panel pops up in the viewport at moment. Regnas (Regnas) awarded T57727: Make the “redo” panel also appear in the tool settings tab a Love token. Yes, this will be very welcome. Regnas (Regnas) added a comment to T56950: UI Paper Cuts (Parent Task). Not sure if it fits here, but may I suggest to disable "Load UI" by default when using File -> Open...? I can confirm that this is a major source of frustration when new users are trying the software and opening blend files from previous versions. I'd rather have the tools that are currently on the spacebar (with some additions) as my right click context menu instead of the W menu. 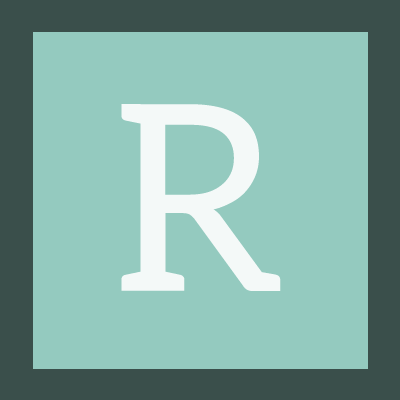 Regnas (Regnas) added a comment to T56648: Blender 2.8: Naming Conventions. Alright then. It's just that people might think it's somehow directly related with UV mapping. Any special reason why the Sphere primitive is called "UV Sphere" instead of just Sphere like in every other 3D app? Select Border -> Rectangle Selection? Translate & Grab to Move is excellent.